The London Symphony Orchestra may be the finest of all English orchestras, but it has not always been its own best friend. 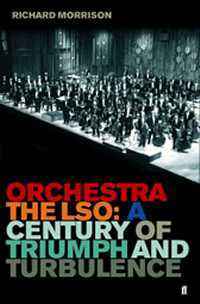 The spectacular miscalculations by the orchestra (famously run as a sort of democratic 'collective') resulted in the destruction of relations with several great conductors - and it's such moments of drama - along with some of the greatest music making that this country has known - that is the subject of Morrison's utterly unputdownable book. Morrison's own narrative voice is distinctive enough as he chronicles the birth of the orchestra in 1904, and its often fractious dealings with such great conductors as Pierre Monteux, but as the voices of members of the orchestra begin to sound, a fascinating new dimension is added. The players are perfectly happy to dish the dirt on several celebrated names (we're told of the sexual peccadilloes of Istvan Kertesz, and the assumed 'foreignness' of Leopold Stokowski, born in the UK as Leonard Stokes, for instance), but never at the expense of self-criticism: the miscalculations of the orchestra and its players are unblushingly examined, along with its triumphs in the concert hall and on record (such as the highly fruitful collaborations with film composer John Williams, that began with Star Wars). The famous period of Andre Previn's stewardship of the LSO is one of the most compelling sections of the book (another association that ended in tears), as the media-friendly conductor and orchestra gave classical music a popularity in this country it had never known before - and never will again. A remarkable document, as crammed with entertaining anecdotes as it with fastidiously detailed history.